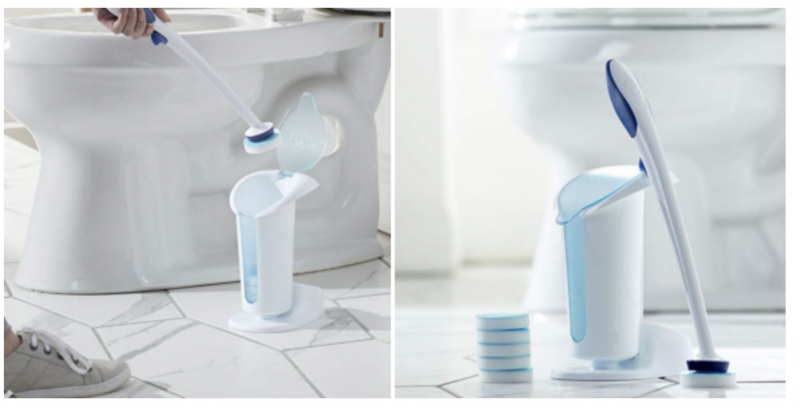 Mr. Clean Kit Magic Eraser Toilet Scrubber Just $9.02 Shipped! Hurry over to Amazon where you can grab the Mr. Clean Kit Magic Eraser Toilet Scrubber for just $9.02 shipped when you clip the $0.29 coupon located under the price and checkout using Subscribe & Save. We use a similar system and have one of these in each bathroom. It makes cleaning the toilet so easy, even my kids can use it. Everything you need to clean the toilet is in one place. Keep in mind, Amazon pricing can change at any time! Don’t wait to purchase this deal or it might be gone when you come back!